Boundless Achievement Academy is a multi-age, coeducational learning community which operates under a cooperative approach: a partnership for Grades 2-12. Our learner-driven community puts students at the center of their learning, allowing them to create goals, define purpose of work, and grow in being people. Here, the obstacles which crush the love of learning, like year-end high-stakes tests, progress based on work habits or grades based on win or lose, have been removed. In its place is a creative environment which focuses on a more intrinsic value system-one based on growth mindset principles. Our community works to develop life-bound students who have the skills, habits, and attitude necessary to make their mark in the world. Our program focuses on developing grit, finding a purpose, and mastery learning. Here learning plans focus on learners. Each hub is a multi-age, collaborative community which promotes flow- the joy of focused work & play. Hubs work to build respect of each other and the work space while growing learners that seek to find and fulfill their purpose. Hub I is a place where younger children come together to grow "learn to do" skills while building character through collaboration, exploration, and choice. Children work hands-on with learning partners (our term for teachers) as well as adaptive technology to build strong foundational math, reading & writing skills. Hub I children have more guidance and exploration time to develop social and problem solving skills. They learn how to follow expectations in their own way, track progress, and find the joy of learning, all while 'helping and being helped by their friends'. Hub II is for those students that are able work on challenging, real world problems and learn to build critical thinking, and standards of English. Hub-mates build rigorous core skills through modeled writing, develop 'thick skin' to handle peer reviews and plan and execute multi-task projects and presentations. Students continue collaborative work in squads, laying a foundation for understanding of what works for them as individuals. Hub II is a place where students grow the skills of "togetherness" & "self-agency". ADVENTURERS, PATHFINDERS & TRAILBLAZERS-where purpose, self-reflection, and leadership prevail. Students who thrive in this learning community are Cheetahs. Cheetahs Coalition: While Cheetahs are solitary cats, at times a group of Cheetahs form for a common goal. Most Cheetahs in the wild typically gather in groups. A group of Cheetahs are called a coalition. Small coalitions of 3-5 Cheetahs gather to live in a larger collection. While there is safety in numbers, a cheetah does have different needs and also skills and so coalitions use the skills of other cheetahs as necessary. In the wild, research and observation supports this. So Welcome to Cheetah Country: welcome to the coalition. Here Cheetahs do what Cheetahs do best- Run! Roam! Explore! They are supported by other Cheetahs and form groups to serve their needs and that of the coalition. A Cheetah’s speed F.A.S.T. is its greatest power against all obstacles: A Cheetah’s speed of F.A.S.T. helps them focus to get what they need. Cheetahs naturally accept their own limitations and those of the coalition and being together for different purposes Cheetahs have a set of standards that drive them. They are steadfast to this end. In the wild, Cheetahs follow these standards for safety and hold their young to them. Here in Cheetah Country (BAA), standards too are passed down to practice and be cultivated for the benefit of the individual. If Cheetahs in the wild refuse to do the hard work of the hunt or protect the coalition, it is challenged. The Cheetah must prove himself or herself to stay. In the wild in order to have F.A.S.T. speed; Cheetahs needs trust: Trust that the coalition is there to back him up. Trust in the group and its roles. Here in Cheetah Country, trust means the same thing. It means trusting what has been built for Cheetahs by Cheetahs , will protect the hard work of Cheetahs and the community. Sometimes, lions take advantage of F.A.S.T. Cheetahs because when Cheetah do go fast- they then need rest. They work hard and need a break to cool down from running so much. Cheetahs at BAA also need time to cool down and filter all that is learned. The environment is laid out and so is the schedule to support individualized ways to engage or take breaks. Nobody really wants to be in the company of lions, do they? Lions act like victims to steal prey from a tired cheetah in the wild. If you find a Lion here, it would be a student who chooses to diminish, belittle, make fun of or hurt other Cheetahs . Lions are those that trade in the joy of the hunt (hard work) for the easy shortcut. Feeling entitled, lions may whine or complain and not be a part of the solution to any problem they propose. Make way LIONS… this is Cheetah Country! MISSION : develop learners to think critically, demonstrate self-reliance, and shine creatively: seeking excellence and continuous self-improvement in all they do. Developing a love of learning. Our goal is for each student to be an independent learner. Meaning, students who do not rely on the partners for learning, but instead work in partnership with them to facilitate his/her learning. All students are encouraged to grow in self-reliance and self-advocacy along this continuum. Partners ensure students find joy in work and provide a story as to why work is important. Partners are like game-makers who provide challenges, frameworks, processes, tools, milestones and world class examples. How do you know we are successful in this endeavor? Students enjoy what they do, know what to do, and why it is done. The pace is set by the student and students don’t wait on partners. Decisions are made together. Becoming critical thinkers. All students are guided to develop strong critical thinking skills. Students use tools like Socratic seminars, real world simulations, adaptive & flipped learning, projects & exhibitions of work, allowing partners and families the time to observe, guide and develop student's thinking and skills. How do you know we are successful in this endeavor? 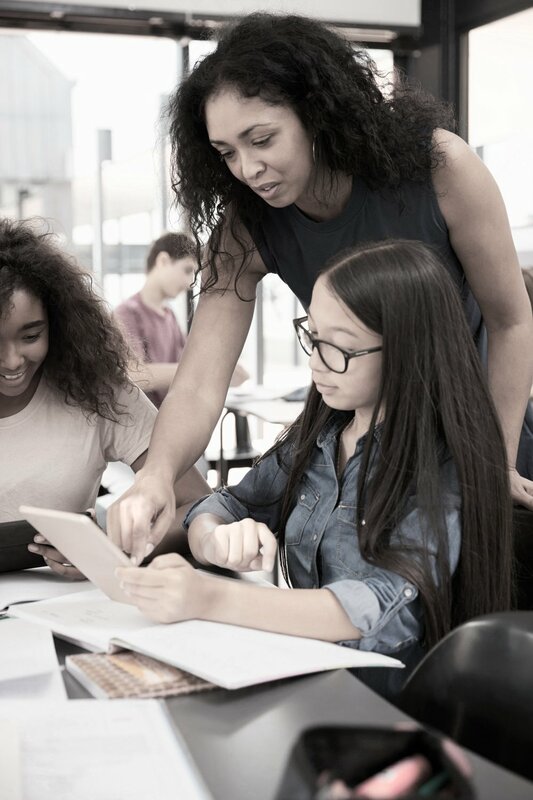 Feedback evokes problem solving, intervention is only made when the learner has asked for it or for safety, partners ask questions, holding up a mirror of accountability so students can figure out what a choice will lead to like a natural consequence, a different path or a process that wasn’t considered. Growing creative people. All students are encouraged to develop a depth of knowledge in areas for which they have a passion, creatively sharing those passions. We aim to facilitate the development of well-rounded thinkers, telling their story through their talents, gifts and passions. How do you know we are successful in this endeavor? Partners listen with an open mind, not a mind made up- they are not Indian givers- when a question offers a choice the partner accepts an answer from the choices the student picks, not one the partner was hoping for, when an idea is presented to change an assignment- the partner engages in a process to see if the idea is practical, as crazy as it sounds- and the two decide together if that fits the standards. The partner accepts the uniqueness of each student to be represented in the work. Fostering self-reflection and self discovery-the art of self agency: Families and students are exposed to the art of self-agency. Tools such as portfolios and performance assessments help grow these skills. We encourage the alignment of learning standards with those standards of personal growth. Students learn there is more to life than human doing-we are called to thrive as human beings! How do you know we are successful in this endeavor? Partners engage in coaching as students make decisions to fix a problem on their own. All decisions about a hub are made with and by the hub. The partner guides this process democratically ensuring safety and standards of work but also recognizing that practice is prized over perfection. Partners do not steal practice of skills from students. Partners ask questions which allow students ownership. Partners USE PRECISE LANGUAGE, praising effort, and pointing out areas for growth, celebrating milestones and benchmarks openly and allowing transparency in the hub. Building success skills. The development of executive functioning skills is both essential and critical. We support families and partners in providing opportunities to explicitly grow planning, prioritizing, working memory, organization, and study skills. How do you know we are successful in this endeavor? Partners demo tools and processes which build thinking and executive functioning: using templates to plan, establishing systems for tracking work, providing status updates, guiding prime time, being brave in pushing learners to do more than what they think they can, but at minimum to fulfill the expected outcome and always look for ways to help learners foster independence. 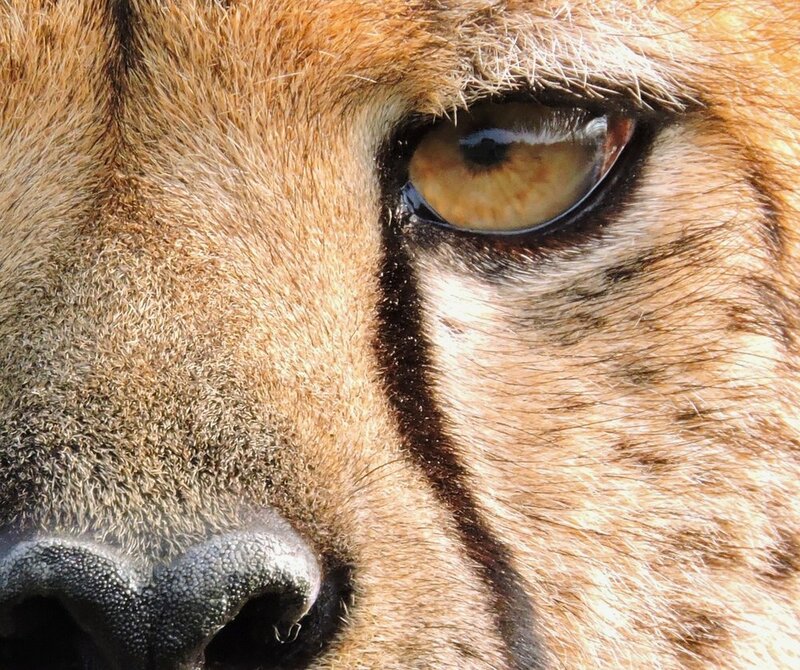 Cheetahs have Focus and are tough-minded. Focused Cheetahs embrace mistakes, set goals, collaborate, use resources, and strive for excellence. Cheetahs honor the hunt for the hard work needed to do all things. Cheetahs don't give up when the hard work comes. Cheetah know when people learn new things, they immediately feel good. This is the “:fake out”. If mediocrity hits-it is a learning plateau. Cheetahs know with a little grit and more practice, mediocrity can be extinguished. Lack of grit leads to the “dip” The dip is when things get real hard because we have not bothered to put the right amount of effort in to something. Acccepting where we are on a learning journey helps us ask for help. Those that rise and climb out of a dip, develop true grit and can tackle problems and do hard things again. Cheetah accept help when needed, offer help when asked. Cheetahs have warm hearts. Cheetahs are steadfast to standards. They have standards for each other, their work, and their intentions. Cheetahs strive to meet or exceed the standards set. All Cheetahs have high expectations for themselves and others. Cheetahs are bucket-fillers- placing Trust in themselves and their abilities and the rest of the coalition! Cheetahs trust in two things: collaboration and precise communication. I am your partner. So please have no fear. My community purpose, is very much clear. Learning climate I set. I observe and I guide. For if you can’t find me, I’m right by your side. I learn along side you, I learn everyday. the thinking & speaking, to challenge the mind. I know all the questions. I ask them with care. But I don’t speak the answers, Don’t ask me to share. I promise discovery & exploring-with no pressure to win any race. I’ll praise effort. I’ll praise service-I’ll give feedback that’s true. I promise to honor, the learner in you. Amidst all the dips and the ‘stucks’-and the HARD learning woes. I’ll give grace & support-Be all you can Be! I am the learner, I speak just for me. I am learning to grow-and growing ” to be”. Cheetahs go FAST! As FAST as they must. amidst all the dips and the ‘stucks’ & and the HARD learning woes. I’ll be the Cheetah-and I will run free!